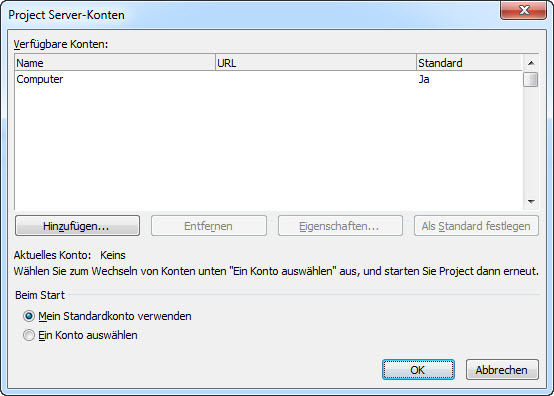 After renaming my SharePoint 2010 from an old to a new URL I could not longer access any project from this server. Before that I copied the URL from the “Path” value under the registry key. Then I recreated the Project Server Account by using Microsoft Project’s tool. what is the MS project tool? (Then I recreated the Project Server Account by using Microsoft Project’s tool.). i create the project server account by using FileInfo menu. On Win 7 start menu enter “microsoft project”. you should at least see two entries: “Microsoft Project 2010” and “Microsoft Project Server 2010 Accounts”.